Gluing on a side panel of a Kelly bag. Pinching the side panel along the edge to secure the adhesion to the body of the bag. Getting ready to start the hand stitching around the bag. An authentic Hermes tie, silk fabric and the signature orange thread. A tie's silk fabric and colored threads. The shirt makers variety of colored buttons. 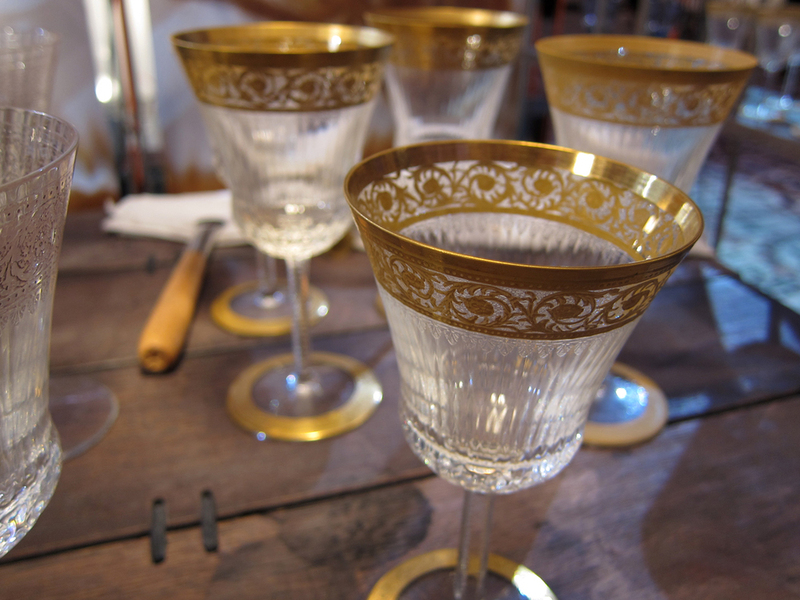 The master gilder's tools set next to stemmed glasses being prepared for their gold. Each gilded glass is hand painted. The tiny mechanism that makes up the inners of a watch. A rose gold studded cuff with two of the four pave diamond studs attached. The gem setter works under a microscope to secure each and every tiny diamond into a single gold stud. 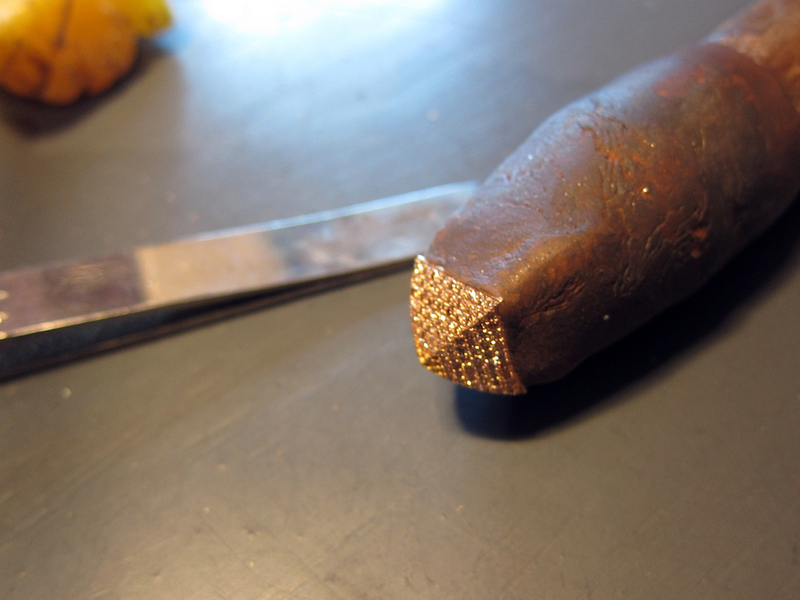 A pave diamond gold stud attached to a waxed work stick. 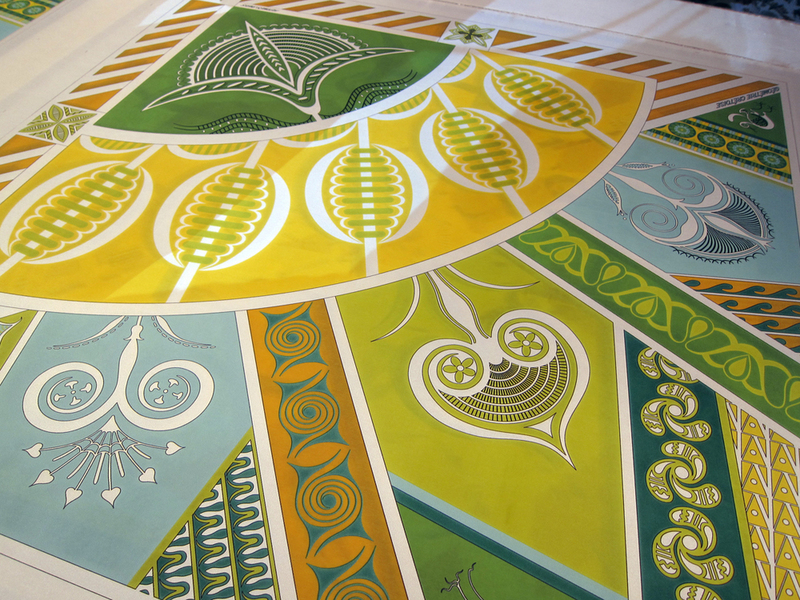 The engraver's task is to convert an original piece of art into a design suitable for silk screening by separating each color out to be printed. This image has 42 colors which means it will take 42 screen to print a single scarf. This intricate design was the engravers most favorite scarf that she ever worked on. Each color is separated out on a piece of acetate. When complete and layered, it should make a completely black design. That means all the colors are accounted for. 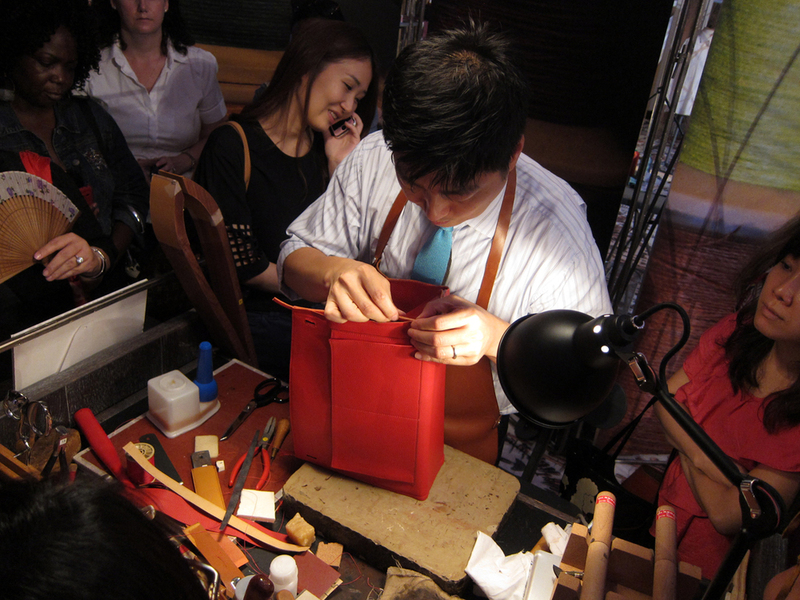 Utterly amazed at how precise, methodical and accurate the Hermes craftspeople are. The delicate care and masterful artistry is a trademark of the brand, but seeing the process in person made me completely appreciate the sheer quality of the work.